The Variable Height Arm with VESA Mounting Plate for Vertical Rail is ideal for any areas where space is a premium and where there is a need to for general monitor mounting. Easily change monitor height and tilt for optimal viewing angle. This also features a parallel linkage for constant viewing angle, great for user viewing preference. 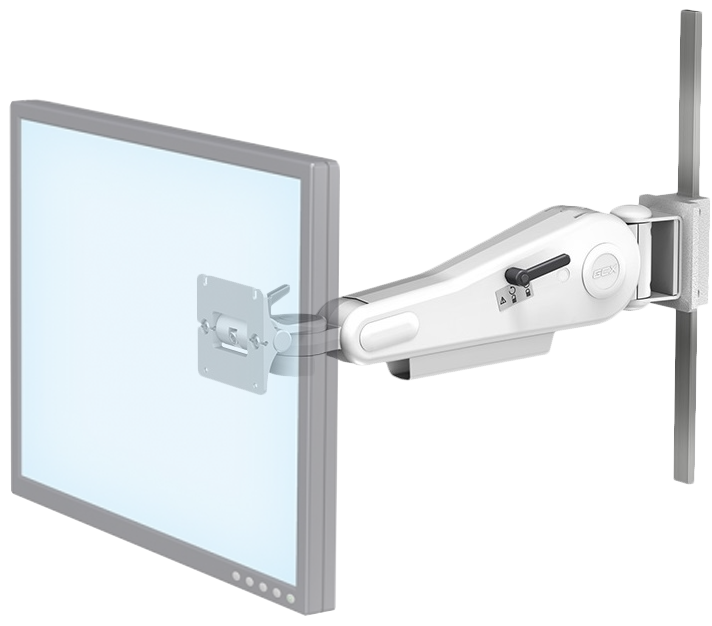 This medical mounting solution is perfect for a wide range of monitors. For example vital signs monitors or accessing patient information. It is ideal for on wards, PACS in theatres, A&E and many more.